Through her Instagram account, Anne Curtis announced her first ever international movie entitled "Blood Ransom," to be released in the country on October 29, 2014. Anne was so excited to see the outcome of the film. Actually, this indie film was shoot way back year 2012 when the actress leave the country and her noontime show to pursue her dream. She also denied it at first but later on she confirmed it that she's leaving to shoot the movie titled "Blood Ransom." You'll see her announcement exactly like this one below. Something to look forward to next month! My very first international indie film. I actually auditioned to get this part and got to experience filming in the States! So excited to see how it turned out! Yaaaaahoooooo! Blood Ransom will be coming to cinemas in the Philippines on October 29 and October 31 in North America. Like and follow the Facebook page at http://www.facebook.com/BloodRansom for more updates! 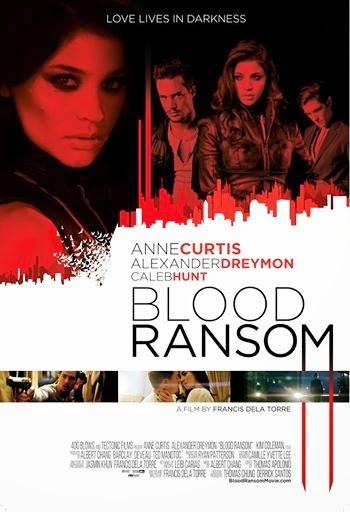 For more information about the Anne Curtis 1'st International Film Blood Ransom, kindly bookmark this page and share to your joined social networking sites. Comments or suggestions about "Anne Curtis first International Movie to be released in Philippines" is important to us, you may share it by using the comment box below.